The summer transfer window might have just closed a few days ago, but there’s already a rumor that’s begun to spread ahead of next year. As always, Manchester United are in the papers, as many have begun to speculate that starman Paul Pogba has caught the eye of Spanish giants Barcelona. Some of the Catalan clubs players have even begun to comment on the situation, with Luis Suarez and Gerard Pique openingly admitting they would love to have the Frenchman come over and join them. However, the possible transfer would not be a good move for Pogba, who’d be much better suited staying in Manchester. Although there is always the allure of playing for Barcelona, Pogba would be better served staying with United. Barca have a vast quantity of quality center midfielders, meaning gametime would not be guaranteed on a week to week basis. Sergio Busquets, Ivan Rakitic, and Philippe Coutinho are guaranteed starters, while the Catalan side just signed Arturo Vidal and Arthur, who are both set to feature throughout the year. Barca are also an ageing side, with most of their key players either approaching the age 30 or older. They will all need to be replaced in due course, which could lead to a revolving door of teammates coming in and out, making it difficult to develop any real chemistry. Pogba could be reduced to a bit part player at Barca, but would be the main man at United for years to come. He’s already become the clubs vice captain, taking the armband when Antonio Valencia was out of action through injury. The club have also signed players to best accommodate the Frenchman, bringing in Nemanja Matic and Fred in recent seasons to provide attacking freedom to Pogba. The core of Man Utd is also quite young, with Lukaku, Fred, Bailly, and De Gea all under the age of 27. Pogba will have plenty of time to grow and gel with this unit, with the future looking incredibly bright in Manchester. Then, there’s the Zinedine Zidane factor. It may be daft to think about it now, but there’s a chance the legendary player, and incredibly successful manager, could be on his way to Old Trafford in the not too distant future. There’s a clear rift between current coach José Mourinho and the front office, which could escalate to a point beyond repair if things continue. Zidane is currently a free agent, and rumors suggest he’d love the opportunity to manage United. To play under his guidance would be a dream for Pogba, who idolized Zidane growing up. If he’s at Barca, he would miss the chance to play under a man he considers to be one of his heroes. In an advertising sense, it would also be the wrong move for Pogba. As United have their kits made by Adidas, who also sponsor the player, there is plenty of opportunity for collaborations. Who could forget the advertisement Adidas ran with Stormzy when the transfer for Pogba was announced. If the Frenchman were to go to Barca, who have Nike as their kit manufacturer, he would have the same problem as Lionel Messi, who is the face of Adidas. The company have even tried to persuade the legendary Argentine to join a club donning the three stripes, but to no avail. If Pogba chooses to leave, he would be costing himself, and Adidas, a lot of money. Even if, for whatever reason, Pogba decides to try and force a move, then United would be in the position of power, and would be able to prevent any transfer from happening. The player is signed to a contract that runs through 2021, with no buyout clause or buyback option in place. 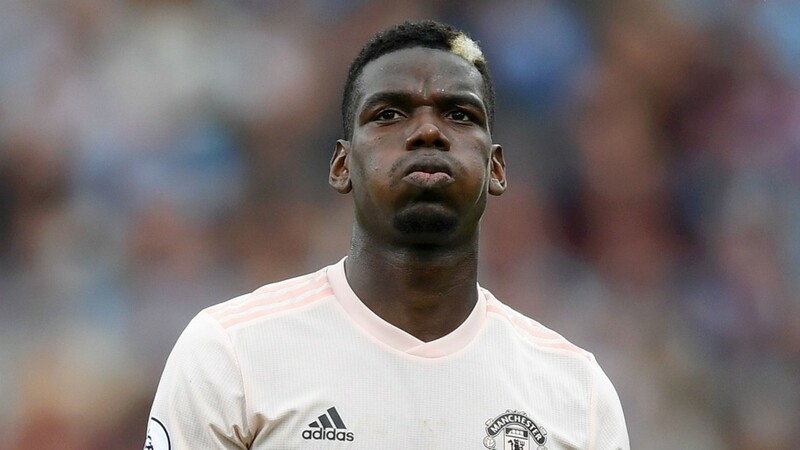 Barcelona would have to fork up a lot of money to even entertain United, who paid almost 90 million pounds to sign Pogba from Juventus in 2016. Since the player has only gotten better, and the transfer market has only further inflated, the Spanish side would have to offer upwards of 200 million just to start negotiations. They did receive a large lump of cash after the Neymar transfer, but that has already been spent Coutinho and Dembele. Their only option could be offering another player in exchange, but it seems unlikely Barca would be willing to give up a player of equal value or talent. Paul Pogba still has work to do at Manchester United, and would be foolish to leave the club anytime soon.